Sign up to our newsletter and stay updated with us! No thanks, I just want to download the plugin. Try live demo and upgrade to the powerful Pro version for more! WP Page Builder is the ultimate tool to develop your website. Absolutely no coding required. Enjoy a whole new site building experience with the best website builder features and state of the art elements inside. 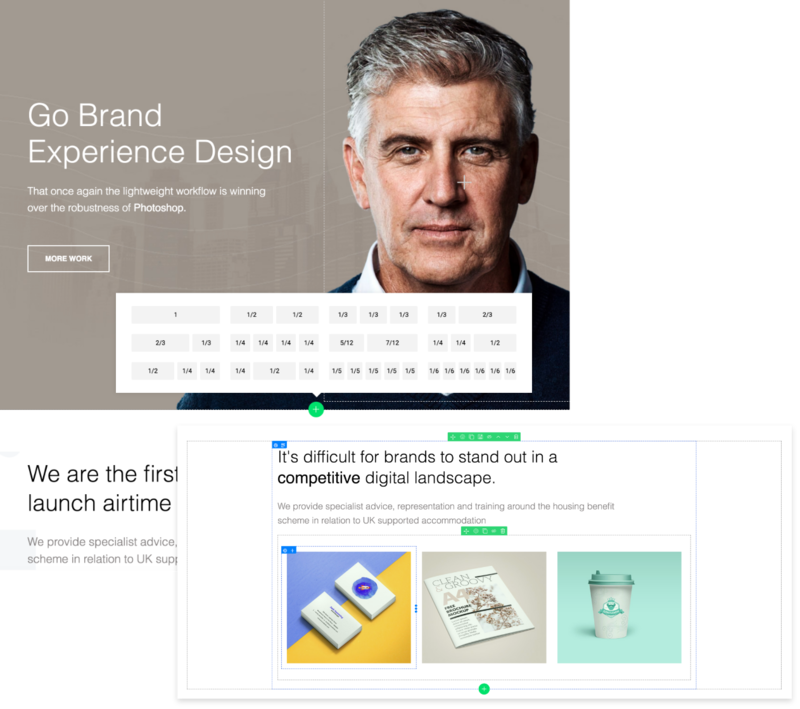 Experience the utmost flexibility in building layouts for your web pages. Flexibly add rows, select columns, and adjust column size & row padding. Anything you build with WP Page Builder is 100% responsive & mobile ready. 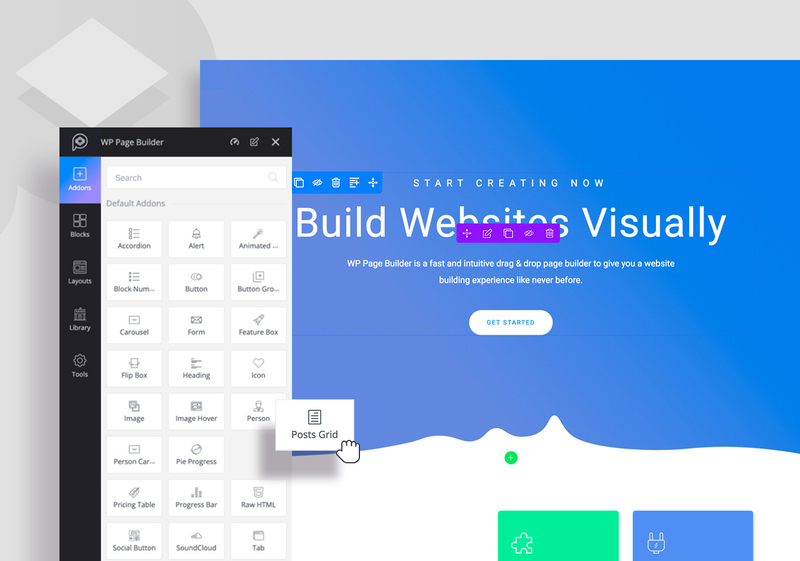 WP Page Builder has a library system to store your own design blocks. All you have to do is save your blocks and reuse on any page of your website. It’s your library, full of the blocks of your own making. Design with complete freedom. Make your website development workflow a lot faster and easier with WP Page Builder’s ready-to-use design blocks. Drag and drop the blocks of your choice on any page, and it gets the design instantly before your eyes. A wide variety of predesigned templates are given inside WP Page Builder. Choose any layout you want, customize them with your contents, and witness how to make a complete website in minutes. It’s easier than you can ever imagine. 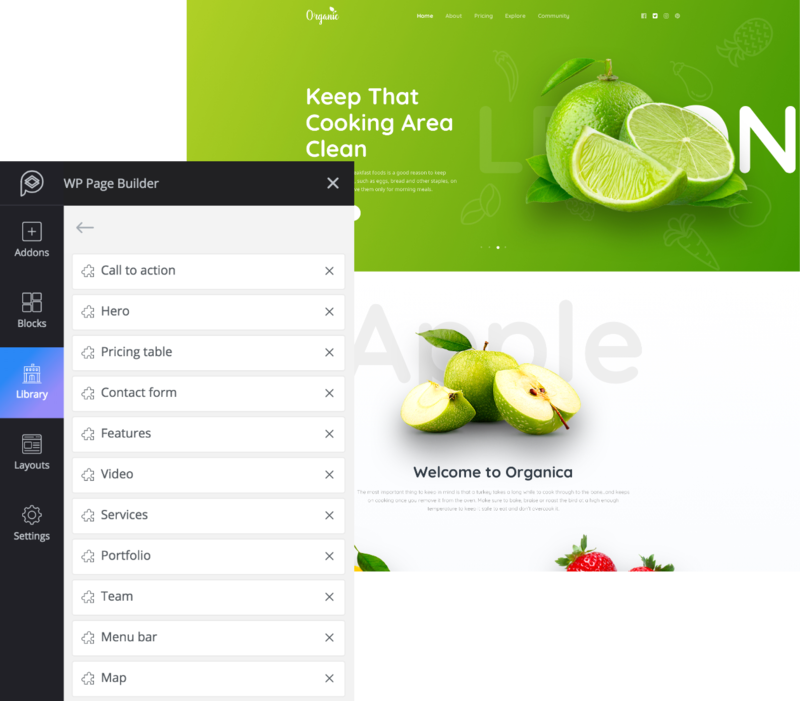 WP Page Builder is an all-in-one page building tool with every required feature and functionality inside. Whether you're a professional or a beginner, you can build an awesome website quickly using its robust features. 30+ addons and more to come..
Design your WordPress site with elements like texts, images, icons, buttons thanks to the rich collection of addons in WP Page Builder. 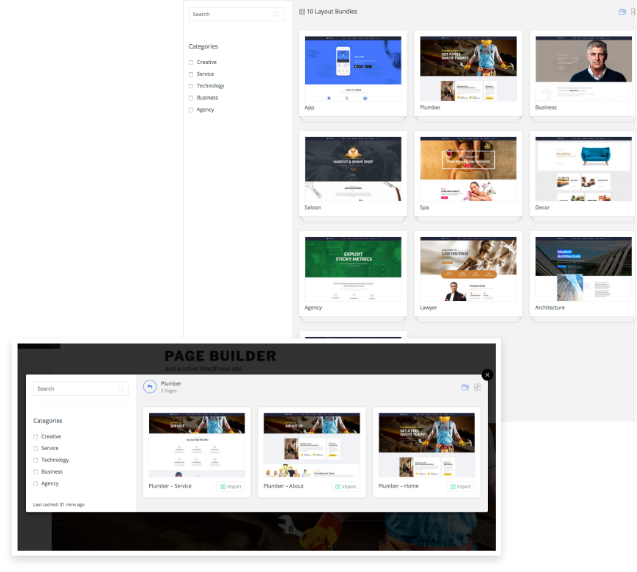 Simply drag & drop the addons on web pages then modify their looks with this intuitive website builder. No matter the kind of website you are wishing to build, WP Page Builder’s predesigned templates got them covered. 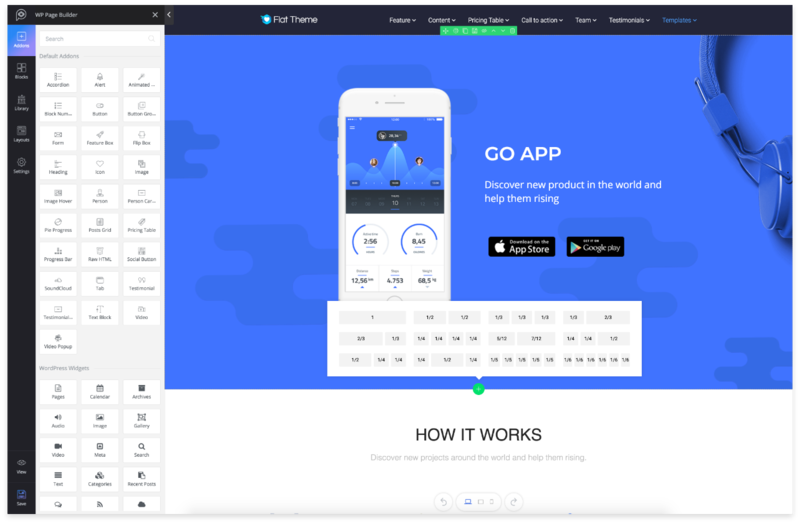 Find the layout that matches your cause the most and create your website in the least possible time. Free download the plugin now! Can I use WP Page Builder with my existing WordPress theme? 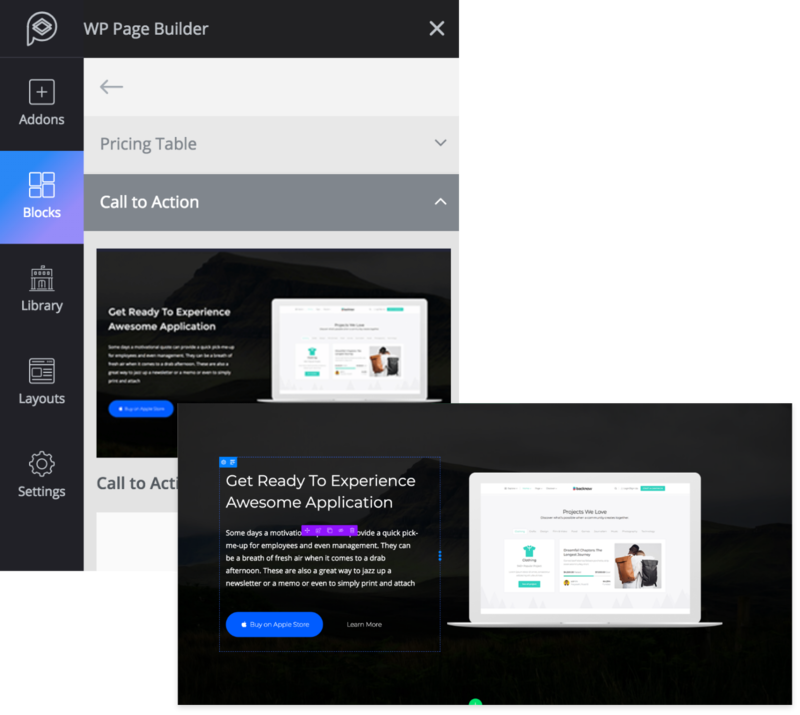 Sure, you can use WP Page Builder with your existing WordPress theme. Is WP Page Builder compatible with Custom Post Types? Yes, it works with Custom Post Types. You have to checkmark the post types on WP Page Builder settings on your dashboard. If you find a bug in WP Page Builder, please post that with details on our support forum. We will take care of the issue as soon as possible. We provide quality support for our products. Please post your support queries on Themeum support forums. We do refund if your cause falls under our refund policy. Please visit Themeum’s refund policy page to learn more.